Styled with aubrielle top . 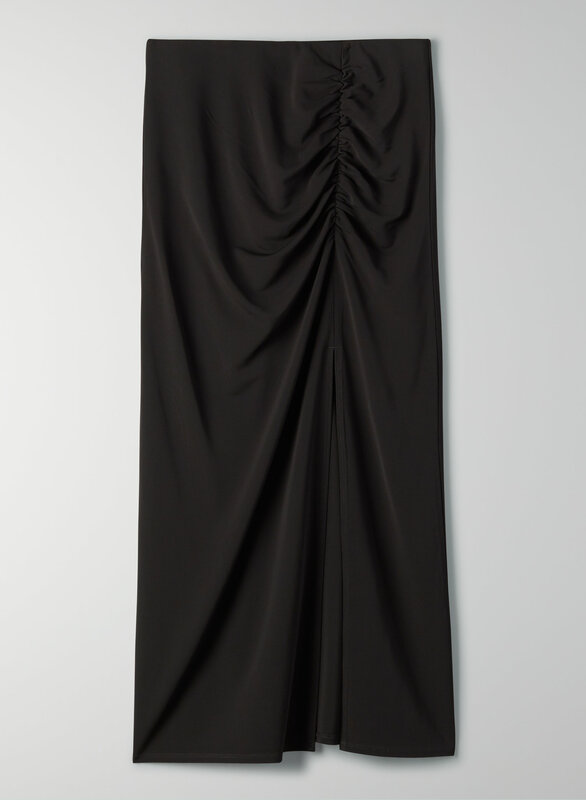 This is a body-hugging skirt with ruching at the waist and a front slit. It's made with a stretchy matte jersey fabric.